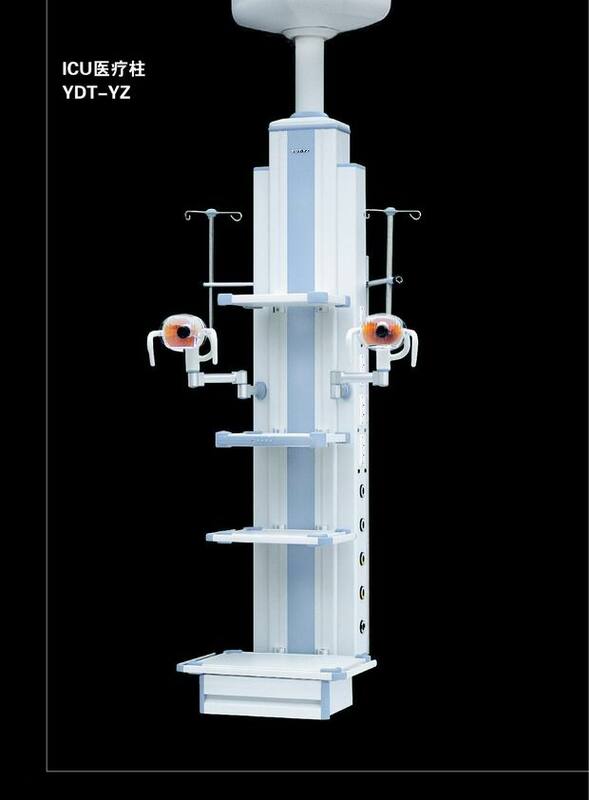 Power column YDT-YZ The power column is a free standing device providing 340 degree access to patient, with centralized services. As a system, it prodvides a network of patient care services that works together with medical gas services, communication, electrical/video, and necessary accessories. Even in ICU and recovery rooms, the power column offers better services in the same amount of space and are not more expansive, the power colummn with double service system for patient care. The power column conveniently consolidates and positions services off the floor. Features: Configured with pneumatic brake Single or double service systems are optional Pre-shipment assembly and testing.